Feeling those between-meal hunger pangs? Don't break the calorie bank; choose whole and minimally processed healthy snacks. Our tips point you in the right direction. 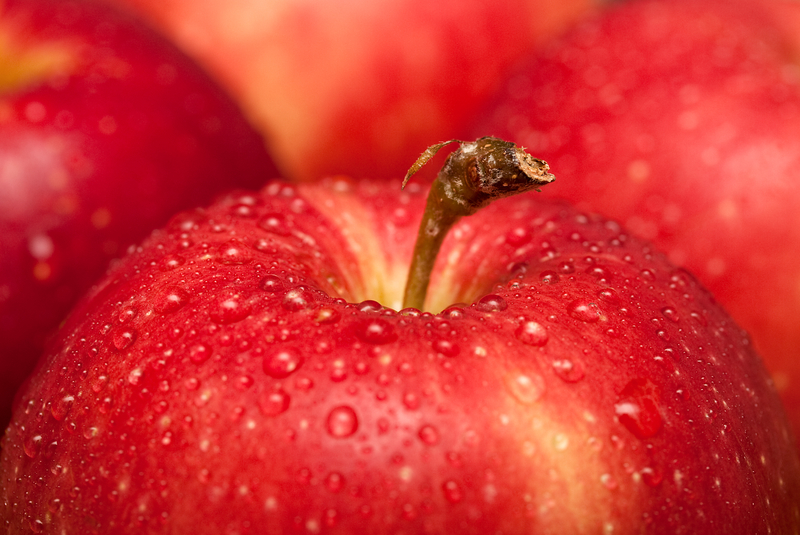 Forget the chips and cookies; go for healthy snacks... like an apple, low in calories, high in dietary fiber. When you’re trying to eat healthfully, don’t overlook your snack selections. Healthy snacks can help tide you over until the next meal while also helping you to fulfill some of your daily nutrient needs. However, eating snacks that are high in calories and low in nutrients can derail an other­wise healthy diet. Each of the three macronutrients—carbohydrates, fat, and protein—offer different benefits. Below, we take a look at each. Carbohydrates, found in grains, vegetables, and fruits, are energy sources, which makes them ideal choices to help prevent a mid-afternoon slump. Many whole foods that contain carbohydrates are also high in fiber, which help keep you feeling full longer. Diets high in fiber are also linked with a lower risk of colon cancer and can help you maintain a healthy weight. 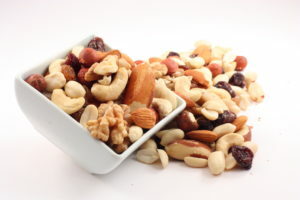 Nuts of all kinds (pistachios, cashews, walnuts…) make for healthy snacks, providing protein as well as unsaturated fats—important for keeping your energy up. Protein, including cheese, hummus, Greek yogurt, and nuts/nut butters, also can help keep you satiated. Delaying the time it takes for your hunger to return often results in eating less, which can help with weight maintenance. Protein is also an essential component of bones and muscles, and it is needed for enzyme and hormone production. Unsaturated fats (monounsaturated and polyunsaturated) support a healthy cardiovascular system. A dietary pattern that contains more plant foods rich in unsaturated fats and fewer animal foods that are high in saturated fat has been linked with lower risks of heart attacks, strokes, and cognitive impairment. Your body requires fat to form cell membranes and to absorb fat-soluble nutrients, including vitamins A, D, E, and K. Get most of your fat from unsweetened nut butters, nuts, seeds, vegetable oils, and avocados. To make healthy snacking easier, keep several options in your refrigerator and pantry at all times. Wash fruits and vegetables and cut up foods such as celery, carrots, pineapple, and melons so they’re ready to eat when the urge to snack hits you. Create grab-and-go “snack packs” with shelf-stable foods, including whole-grain crackers, nuts, and dried fruit; if you portion them out into small storage containers or bags, it will help prevent overeating. Aim for snacks that provide 200 calories or less (see chart for examples). A good rule of thumb is to avoid heavily-processed snack foods; a review of the ingredients list usually reveals added sugar, fat, salt, and chemical additives and preservatives that enhance the taste and texture and extend shelf life but have little or no nutritional value. 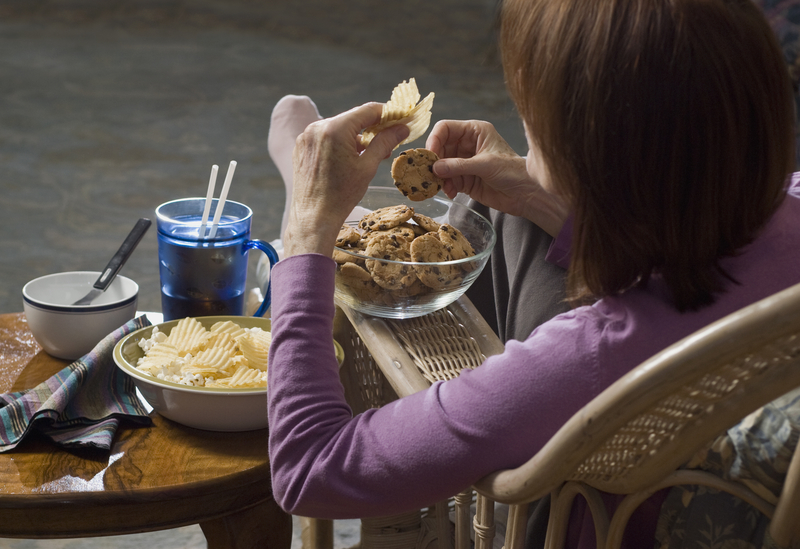 Most of us know what it’s like to fall into negative snacking habits. They can be hard to break but, as our post describes, worth the effort of planning and preparing healthy snacks ahead of time. Many snack foods are “empty-calorie” foods, meaning that they contain considerable calories while offering little in the way of nutrition. Potato chips and other snack chips—including most tortilla and “veggie” chips—are often high in salt and/or fat. 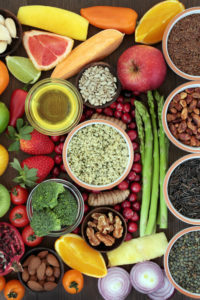 There’s no comparison between the nutrition in foods such as tomatoes, spinach, and beets and the snack chips that are “made” with these foods; often, they contain no vegetables—only vegetable powders that provide a healthy-looking color but no nutrition. Most baked goods, such as pastries, doughnuts, brownies, and cookies, are made with refined flour that contains little or no fiber, and they’re often high in saturated fat and sugar. Muffins may sound nutritious if they contain fruits and nuts, but most muffins are just cake without icing. And, beware the pre-packaged “snack packs” now available in most supermarkets; many contain chips, crackers, or processed meats that contain few nutrients but are high in refined flour, saturated fat, and/or sodium. Do you have tips for healthy snacks that work for you? Share them with your fellow readers in the Comments section below. beets, calories, cancer, cardiovascular, cardiovascular system, carrots, chocolate, cognitive impairment, colon cancer, dairy, diet, fat soluble nutrients, fiber, healthy cardiovascular system, healthy diet, healthy snacks, healthy weight, heart attacks, hormone, low fat dairy, nutrients, nutrition, nutritional value, nuts, overeating, preservatives, protein, risk of colon cancer, spinach, sugar, vegetables, vitamins, walnuts, whole grain, whole grains, yogurt. Got advice on how you manage to resist unhealthy snacks? Help out your fellow readers by passing along your own tried-and-true tips.